TRAVEL VLOG – Crafting on a Cruise! What did I pack? Happy Tuesday, all! 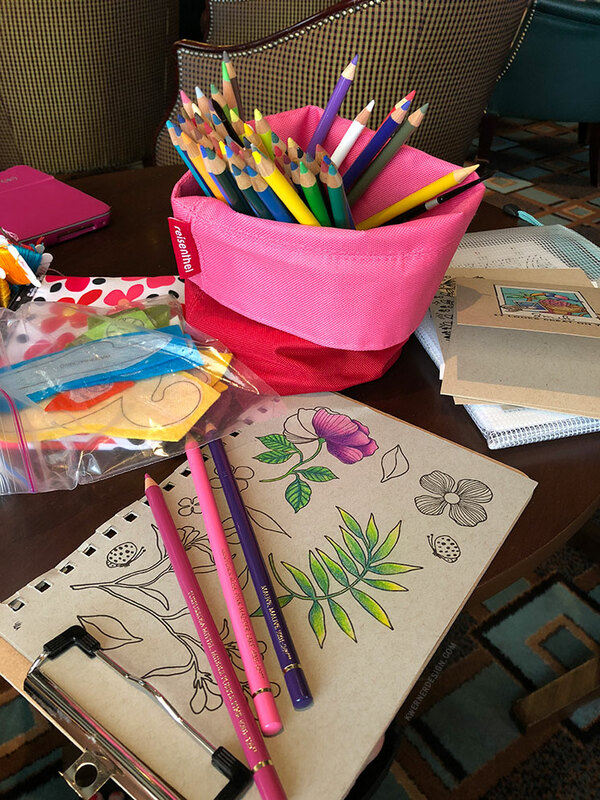 I just returned home after a week-long California Coastal Cruise and thought I’d share with you what I crafting items I packed and also a card that I colored while away. I packed a bit different than the last time since I wanted to do some colored pencil coloring. And I also wanted to color images from Waffle Flower’s latest release. 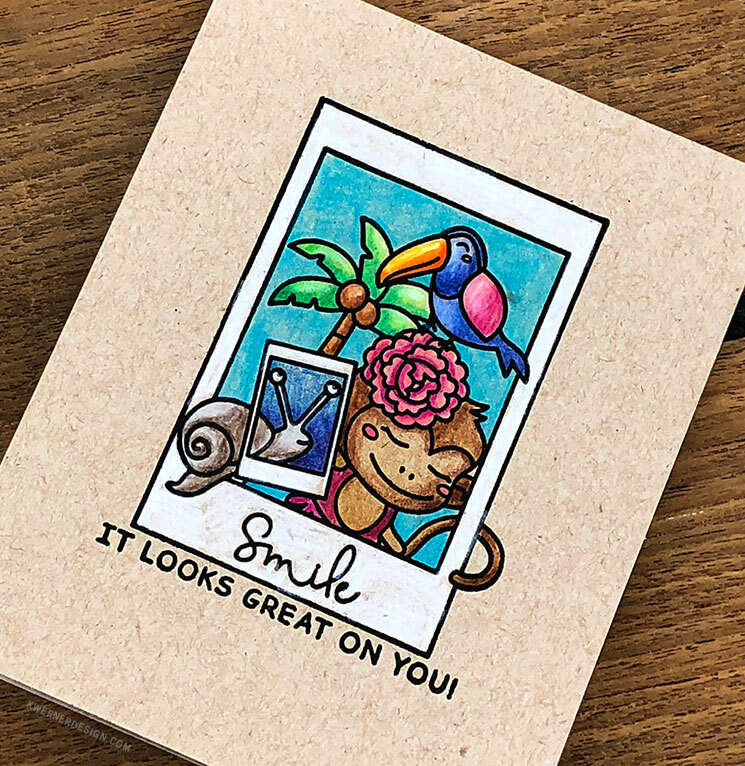 For the finished card, I stamped the Picture Perfect stamp set on Neenah Desert Storm 100 lb. cardstock and colored it with Polychromos colored pencils. By keeping it simple as a one-layer card, I was able to color it and complete the card without addition supplies needed. *****I have a special code for you! 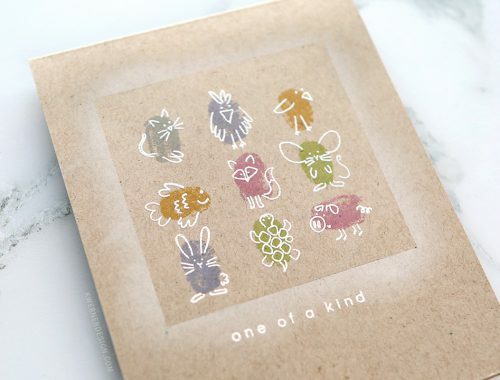 Use code KW1804 to get the Picture Perfect stamp set for free with your order of $25 or more at the Waffle Flower shop! Valid through 4/16/2018; Limited 1 per customer; While supplies last. The stamp set needs to be added to your cart for the code to work. I also stamped the images from the Bouquet Builder stamp set on toned gray paper from Strathmore and colored it with the same pencils. I haven’t finished coloring the entire stamp set yet, though. I also had a couple envelopes stamped with the Smiling stamp set but didn’t have a chance to get to those. 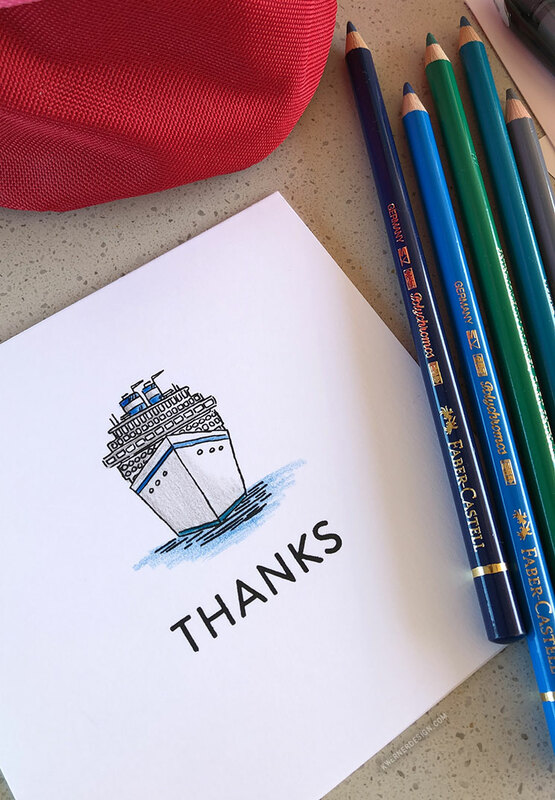 I also created some thank you cards for tipping some of the crew on the cruise ship, too! It’s customary to tip your room steward (the housekeeping staff that tend to your room) and your dining stewards (the wait staff assigned to your table in the dining room). 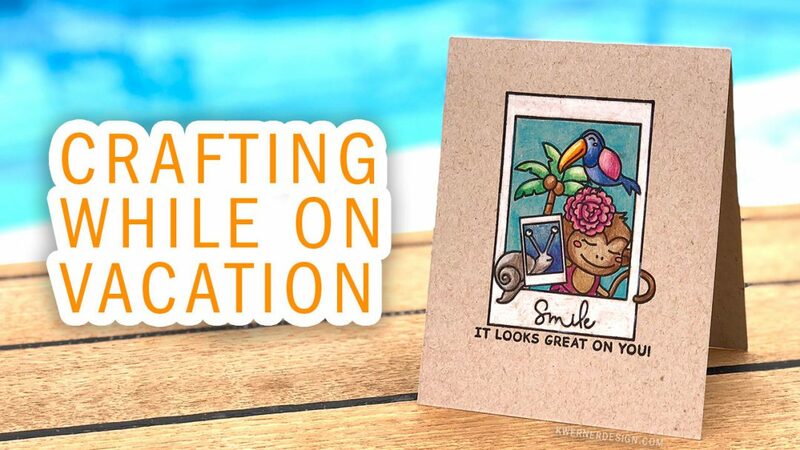 So I used the Pack Your Bags stamp set from Art Impressions to stamp a cruise ship, and then stamped “Thanks” below it using Simon’s Big Thanks stamp set. I slipped some cash and the cards into envelopes and gave them away on the last day of the cruise. Inexpensive Holiday Neighbor & Co-Worker Gifts – Root Beer Reindeer!